My house is a house that loves lemonade. But not just any lemonade. 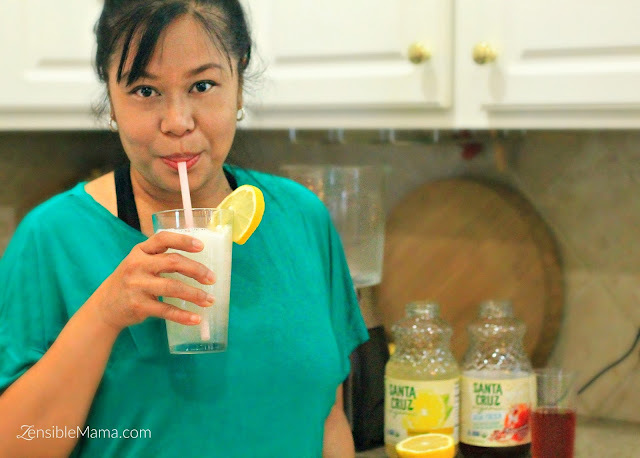 We love our own homemade, organic, freshly-squeezed lemonade that we make a lot of when the weather gets hot. With Summer just around the corner, the thought of a refreshing frozen lemonade is not that far off from our minds. But let's face it, there are times when we don't have the time to make a good-tasting homemade lemonade. So, once in a while, we rely on store-bought versions to quench our cravings. Now you should know that we are very particular about what product we buy. My family is a huge consumer of organic products and we are ingredients-nazi as well. If we can't pronounce an ingredient or there are just way too many it's ridiculous, that product immediately goes straight back to the store shelf. 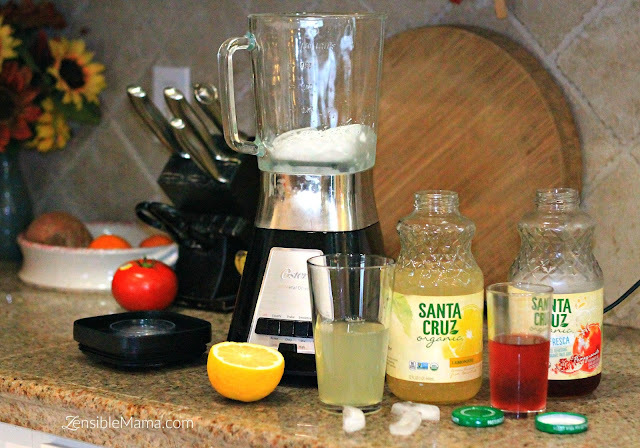 Thankfully, Santa Cruz organic lemonade and Agua Fresca Pomegranate is an organic product. 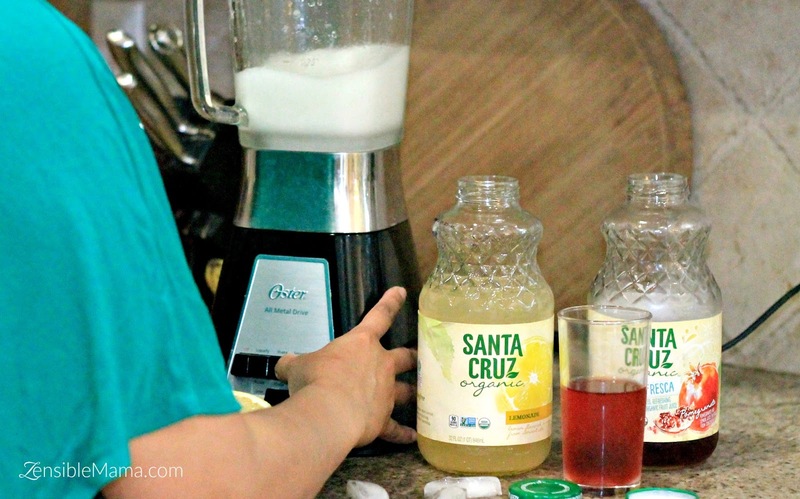 So, when Green Moms Meet asked me to try Santa Cruz Organic® Agua Fresca products, I said yes, right away. The first thing I did when I got the beverages were to read the ingredients because that's what I do to gauge the quality of a particular product. I'm happy that both the lemonade and Agua Fresca Pomegranate only have 5-6 ingredients on each of them. Not to say, they're all organic. Which is a huge plus to me. I also love the fact that they're lightly sweetened, so you actually taste the real flavor and not the overpowering sweetness of sugar, which is my issue with other similar products. I really enjoyed the Lemonade. The sweetness was just right. It was a complete balance of flavors. Not too lemony and not too sweet. It was just right. "But it won't be right if I don't make myself frozen lemonade with this, so I did today and yum! I tell you now. That entire bottle of lemonade will not last long. I better hide it from my other two lemonade monsters!" As for the Agua Fresca Pomegranate, my 12 year old liked it a lot. I had to stop her from drinking the entire bottle in one sitting. What makes it so appealing to the young one is the fact that she's actually tasting the flavor and not the "sugar". It also have a very light, refreshing taste that makes you want more! Can't blame her for almost inhaling the whole thing. Overall, the beverages met our good product level meter, and is now included in our products worth buying list. It will be a good back up for when we can't make our own homemade frozen beverages for sure. A 32 oz. bottle of Santa Cruz Organic Agua Fresca retails for $3.20 - $3.49, depending on the location. Want to try these goodness yourself? Well, here's a treat for you. 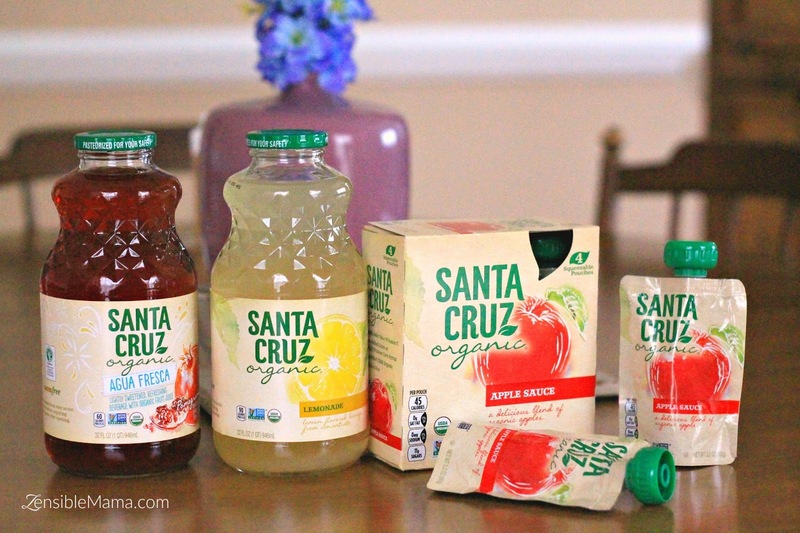 I'm giving away two bottles of Santa Cruz Organic Agua Fresca to (1) one lucky reader. That could be you so enter the giveaway. Sponsor will ship prize directly to winner. Best of luck! Disclaimer: Santa Cruz Organic provided the products through Green Moms Meet to facilitate this review. I'm a purveyor of living green but this post is not an endorsement of this product. All opinions are mine, unless otherwise noted, and based on my own personal experience of the product featured in this article. 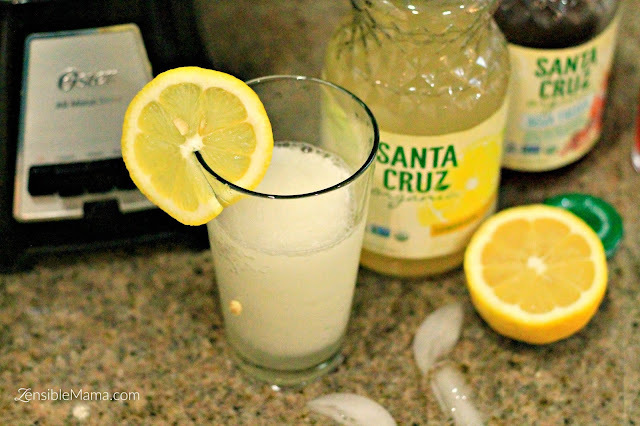 I have not tried the Santa Cruz Beverages before but they look good. I've never had them but they look delicious. I haven't tried them yet - but would love to!! I have not tried them yet, but they look delish! Thanks so much for the opportunity! No, I haven't tried them but I bet they are great! no i haven't tried them before, but they sound great to me. I haven't tried Santa Cruz beverages yet. I have never tried them yet. I've never tried Santa Cruz Beverages but I love a great juice so I'd love to check them out! Never tried yet, but would love to. I have not but they sound light and refreshing! I love that they have great ingredients and are so tasty. I have heard so many great things about them but have not tried them yet.